Here’s a sneak peak at what I am going to start building this weekend. 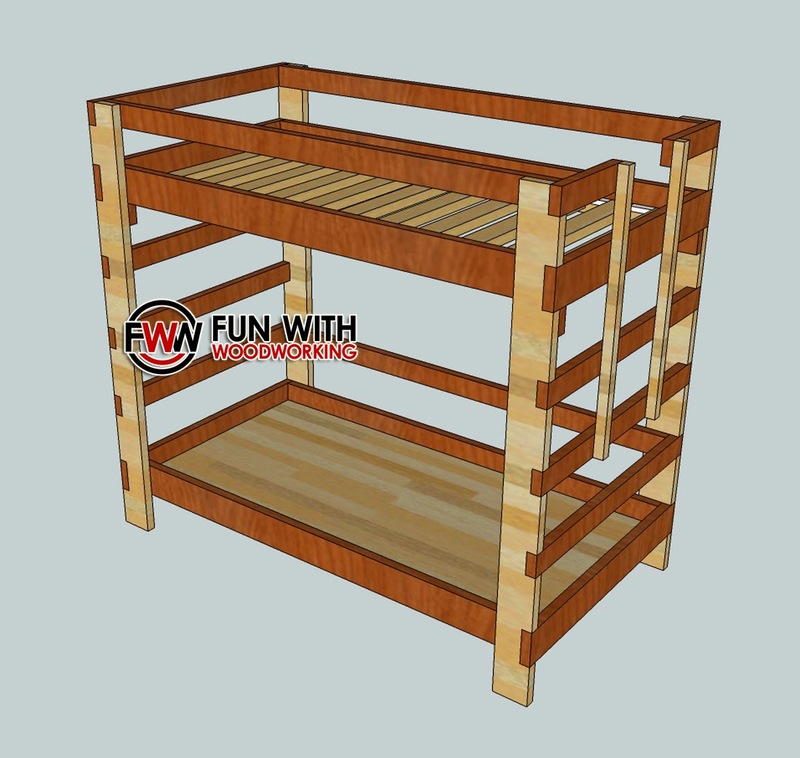 It is a combination bunk bed and loft bed and I hope to have it completed in 2 to 3 weekends. My mother in law recently suffered some medical problems and had to move in with my family. This necessitated moving my 8 year old in with my 5 year old. We now have a twin bed and a toddler bed shoved into one 12 x 12 room along with one of their dressers. 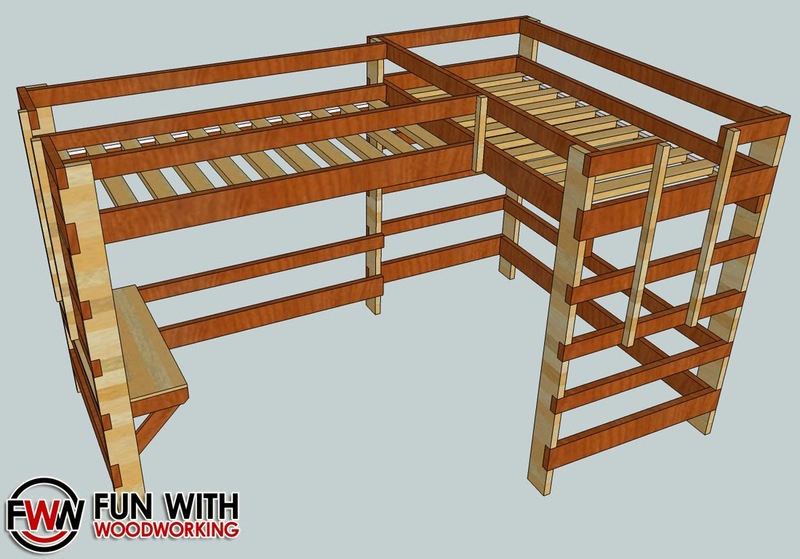 The idea is that the assembly on the right is a normal bunk bed and the assembly on the left is the same bunk bed minus the bottom bunk and the right hand legs/ladder parts. In the short term the 5 year old will sleep on the bottom bunk on the right. Once he feels up to it we can move him to the top bunk on the left. 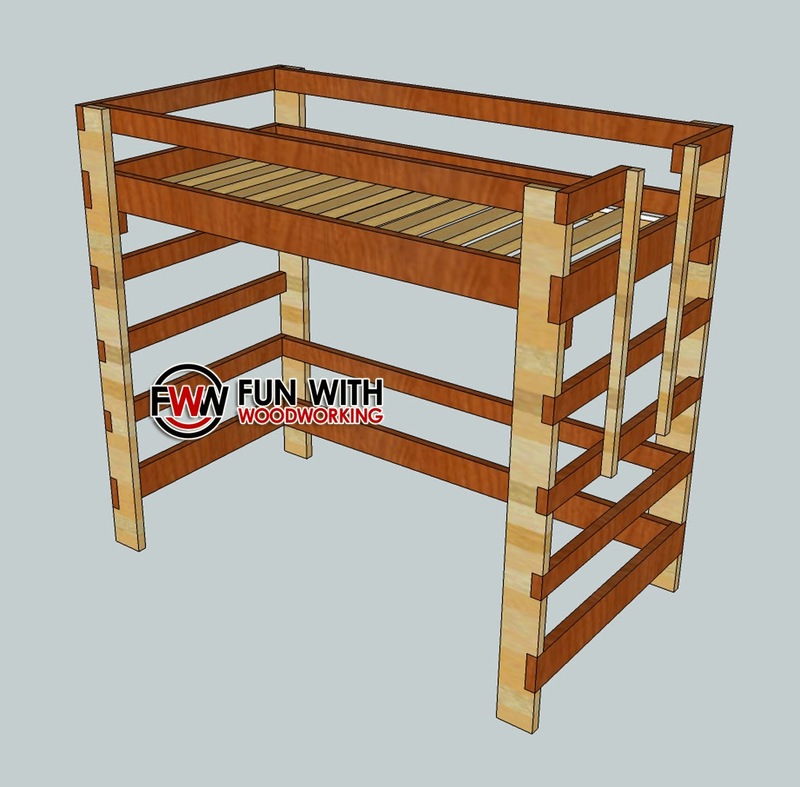 I can then remove the one 2 x 6 on the inside of the bottom bunk and make that another desk or play area. Once grandma moves out I can build another leg/ladder set and connect it the assembly on the left and move it into the older son’s room. 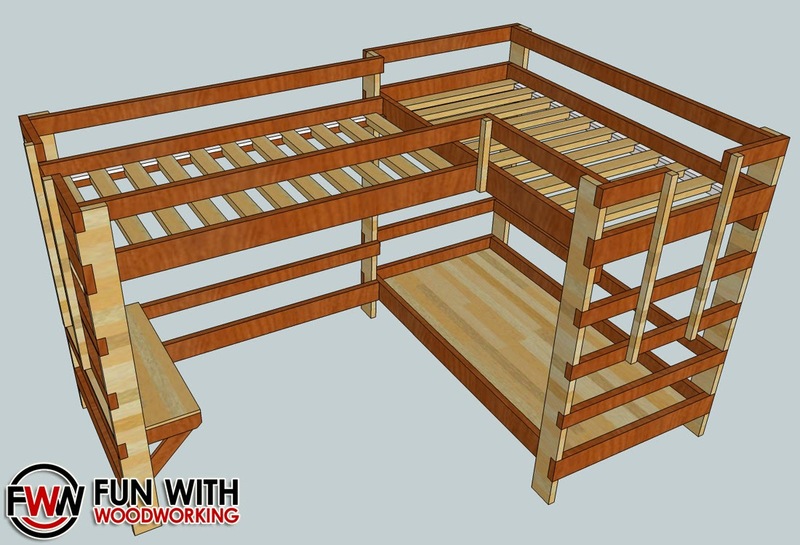 They will then have matching loft beds in their room. We can then customize the space underneath as we see fit. At least that is the idea….